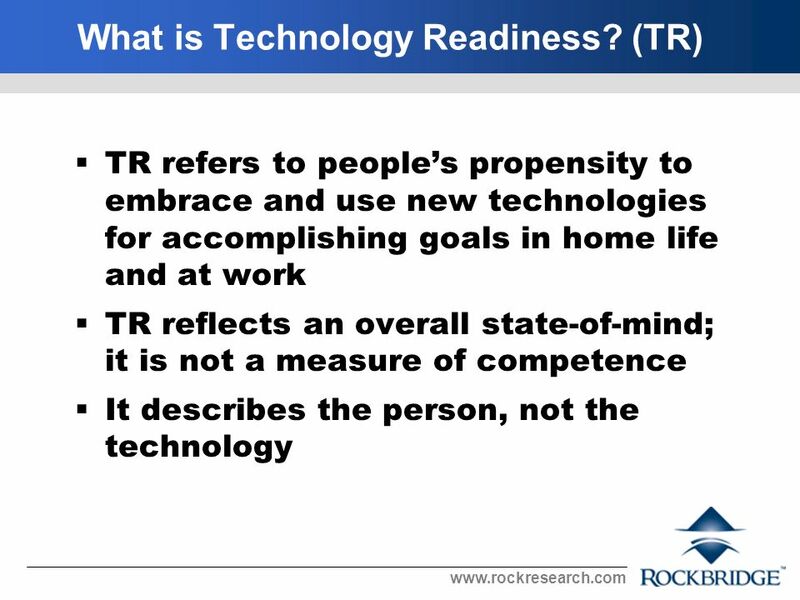 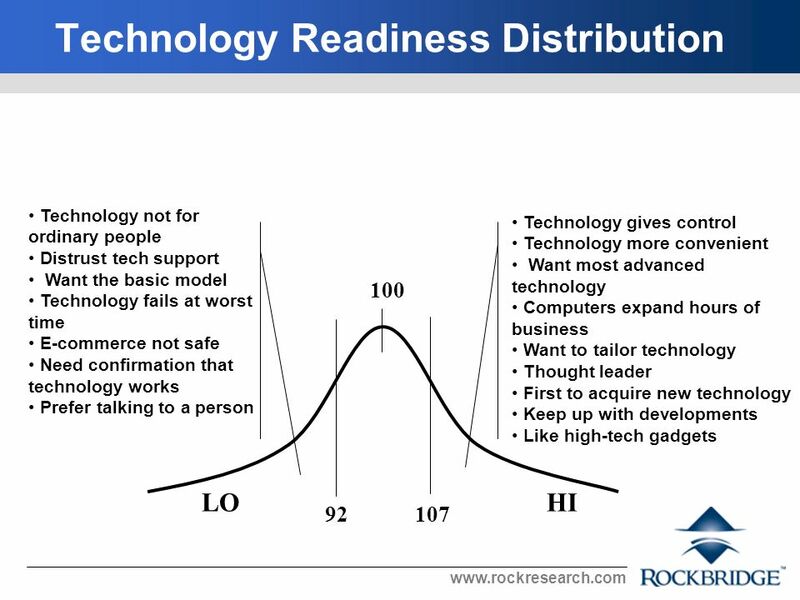 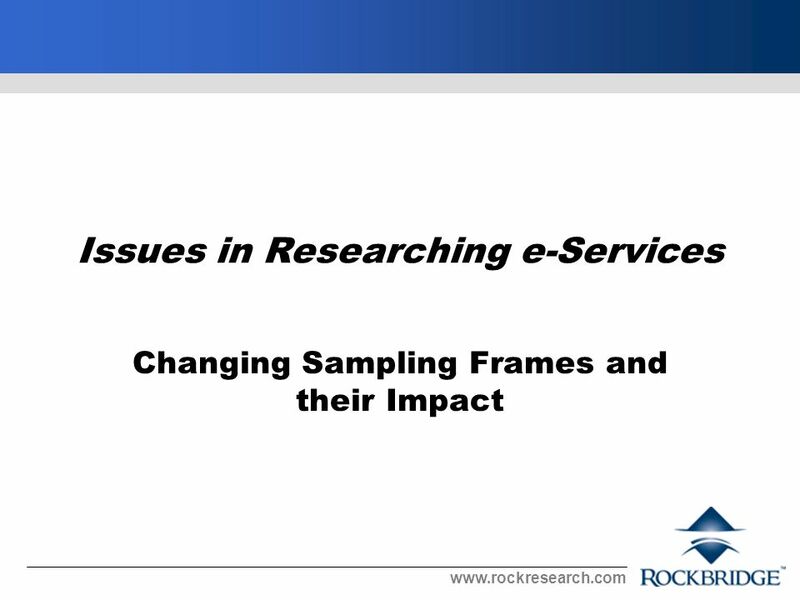 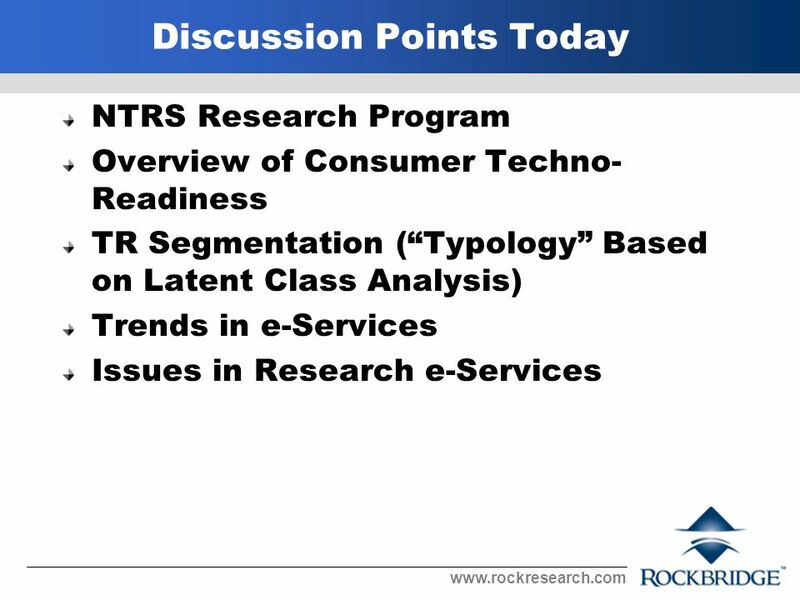 Www.rockresearch.com Trends in e-Services, Beliefs about Service Technologies, and Issues Researching the Category: The National Technology Readiness Survey. 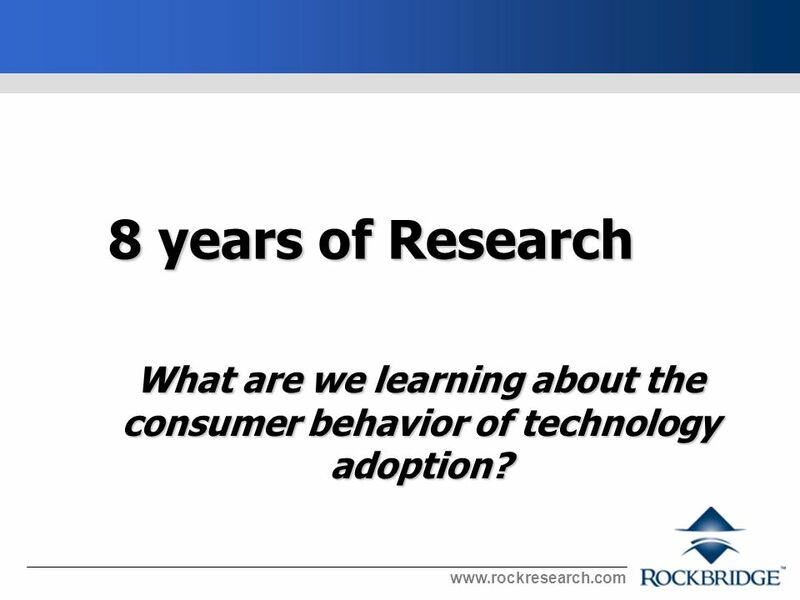 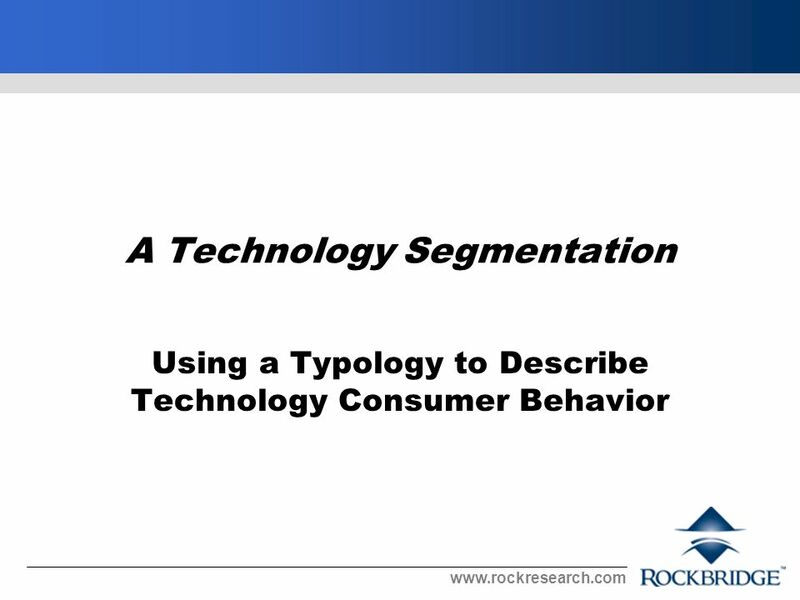 5 www.rockresearch.com 8 years of Research What are we learning about the consumer behavior of technology adoption? 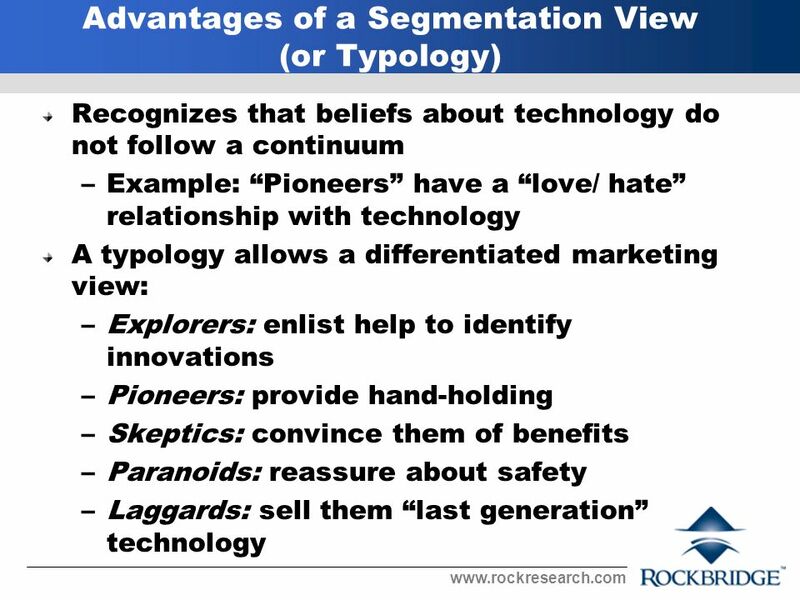 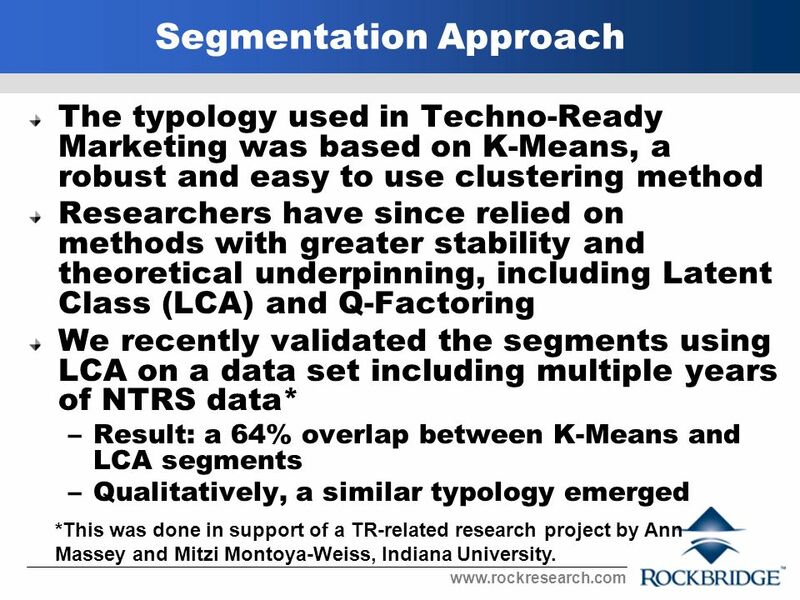 18 www.rockresearch.com Segmentation Approach The typology used in Techno-Ready Marketing was based on K-Means, a robust and easy to use clustering method Researchers have since relied on methods with greater stability and theoretical underpinning, including Latent Class (LCA) and Q-Factoring We recently validated the segments using LCA on a data set including multiple years of NTRS data* –Result: a 64% overlap between K-Means and LCA segments –Qualitatively, a similar typology emerged *This was done in support of a TR-related research project by Ann Massey and Mitzi Montoya-Weiss, Indiana University. 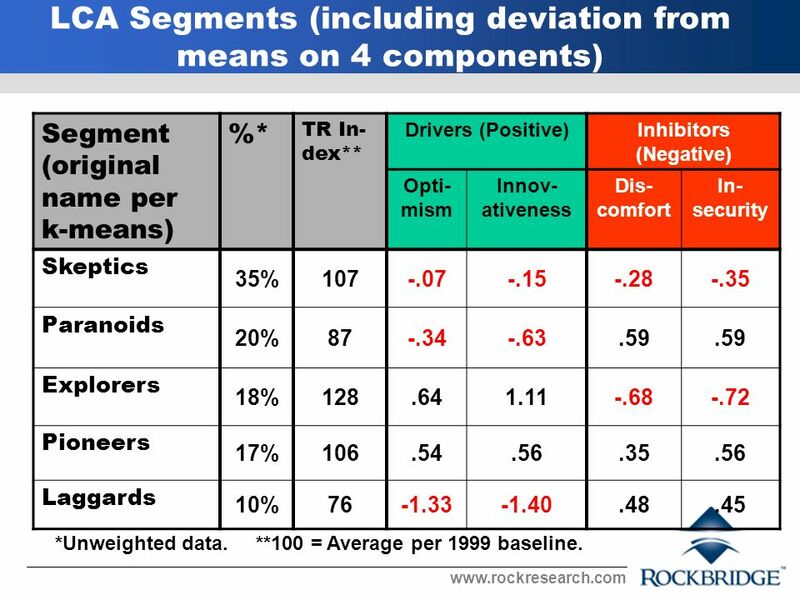 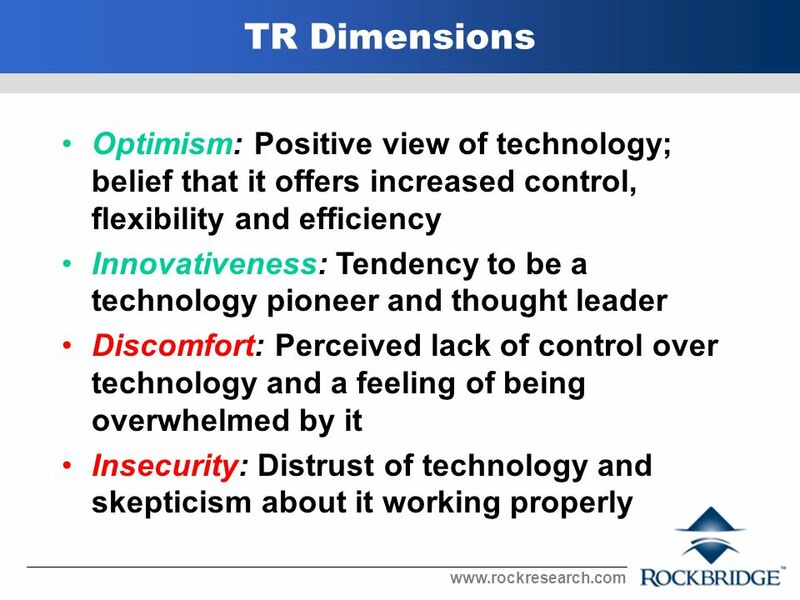 19 www.rockresearch.com LCA Segments (including deviation from means on 4 components) Segment (original name per k-means) %* TR In- dex** Drivers (Positive)Inhibitors (Negative) Opti- mism Innov- ativeness Dis- comfort In- security Skeptics 35%107-.07-.15-.28-.35 Paranoids 20%87-.34-.63.59 Explorers 18%128.641.11-.68-.72 Pioneers 17%106.54.56.35.56 Laggards 10%76-1.33-1.40.48.45 *Unweighted data. 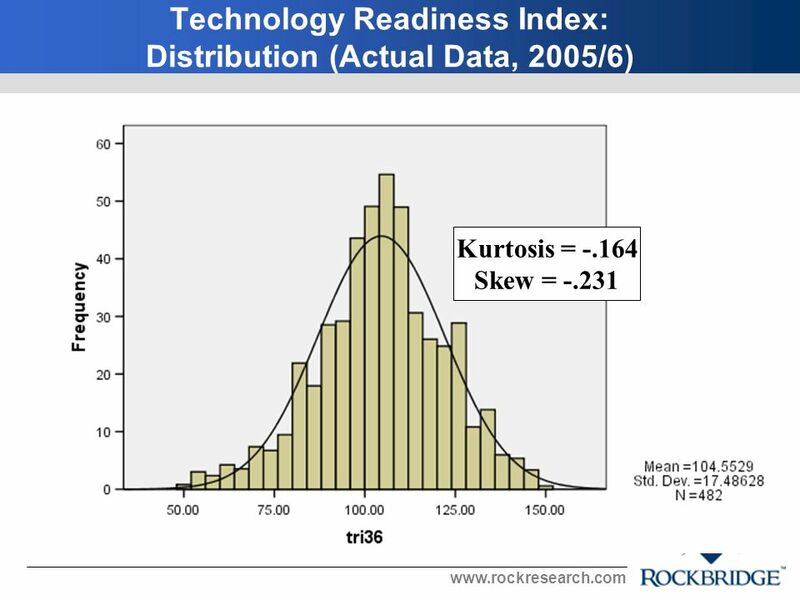 **100 = Average per 1999 baseline. 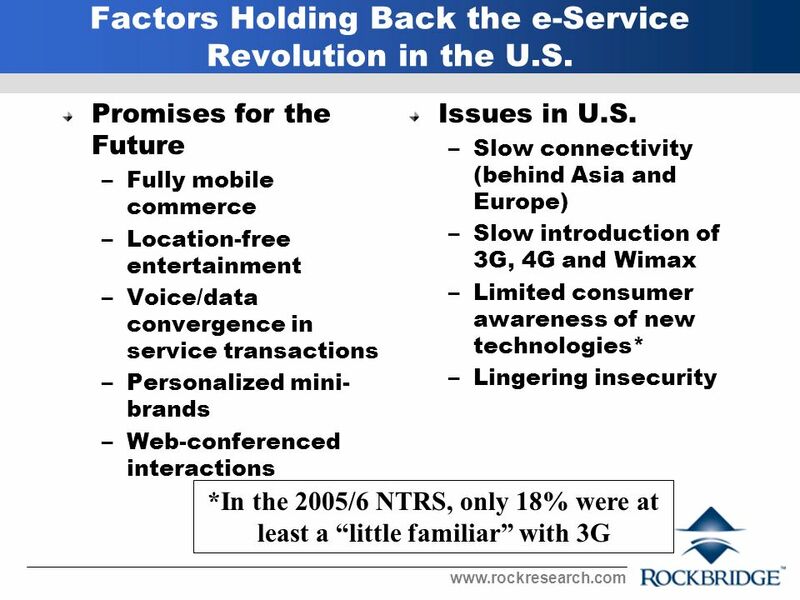 20 www.rockresearch.com NTRS: 1999 – 2006 What are we learning about the e-Service marketplace? 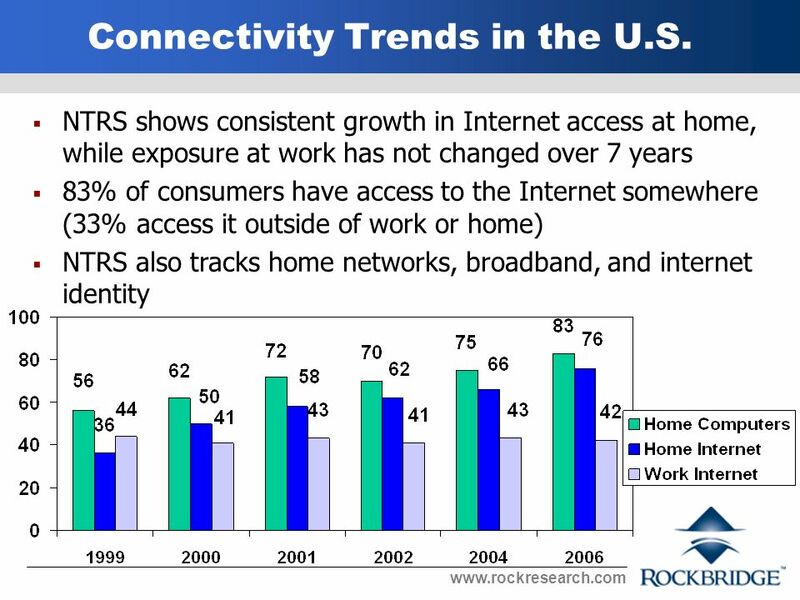 21 www.rockresearch.com NTRS shows consistent growth in Internet access at home, while exposure at work has not changed over 7 years 83% of consumers have access to the Internet somewhere (33% access it outside of work or home) NTRS also tracks home networks, broadband, and internet identity Connectivity Trends in the U.S.
Download ppt "Www.rockresearch.com Trends in e-Services, Beliefs about Service Technologies, and Issues Researching the Category: The National Technology Readiness Survey." 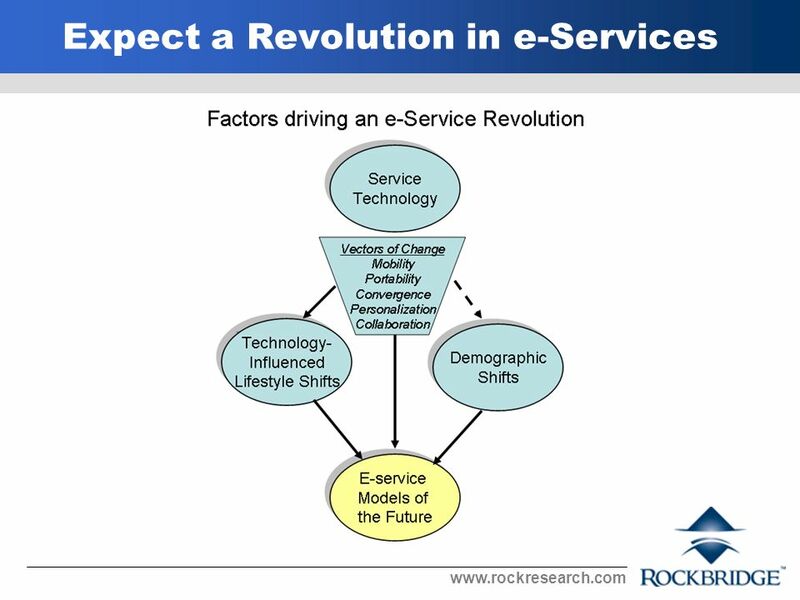 How do you Make Sure an e-Government Initiative is Successful? 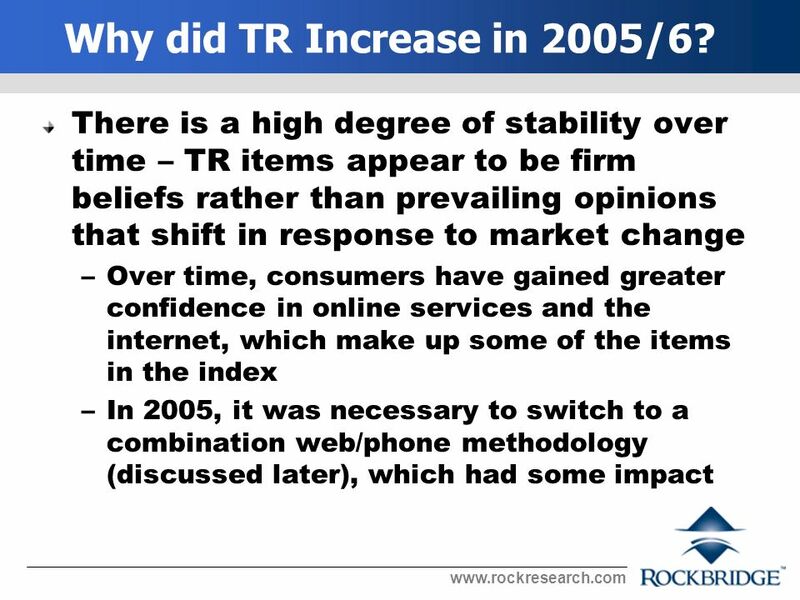 Class Discussion Notes MKT September 5, 2001. 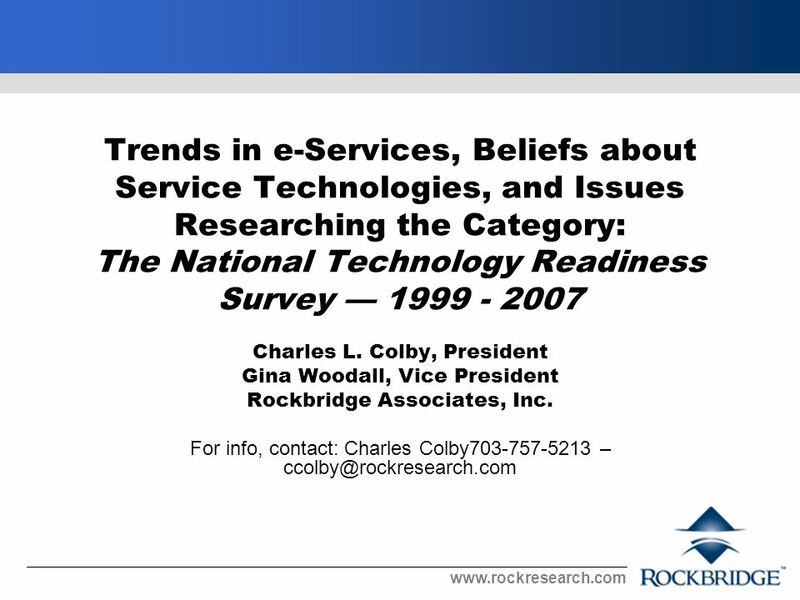 The 2000 National Technology Readiness Survey: Implications for E- Commerce and Internet-Based Services Ninth Annual Frontiers in Services Conference September. 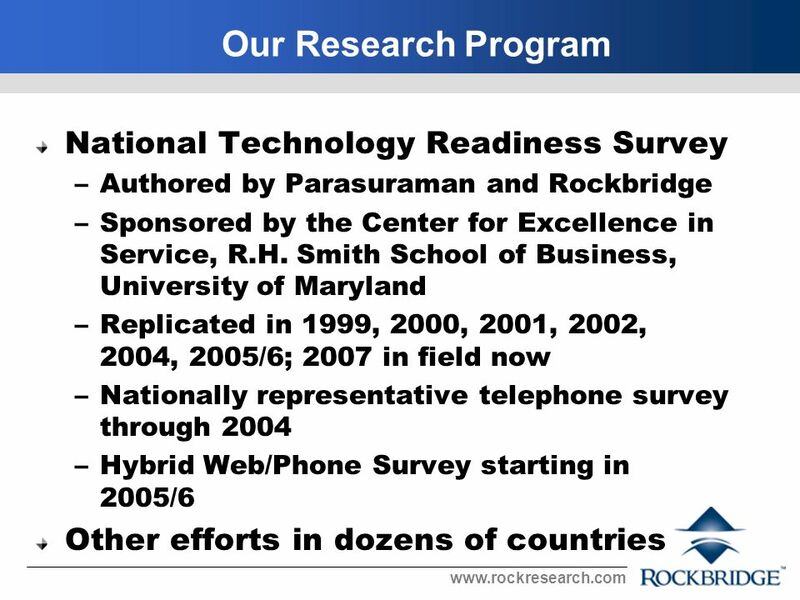 The 2002 National Technology Readiness Survey: Technology Readiness and Key Trends Presented to: Center for eService Partnership Forum February 28, 2003. 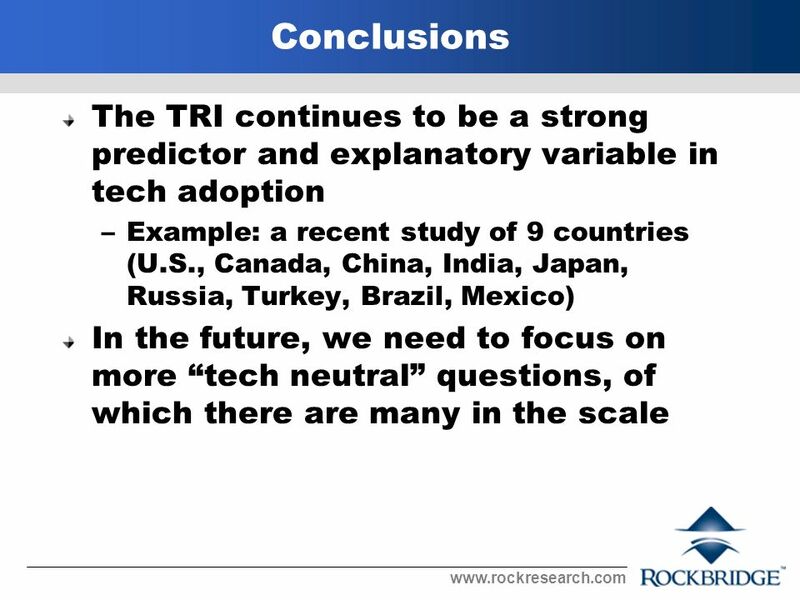 Mexican Export and Import Unit Value Indices. 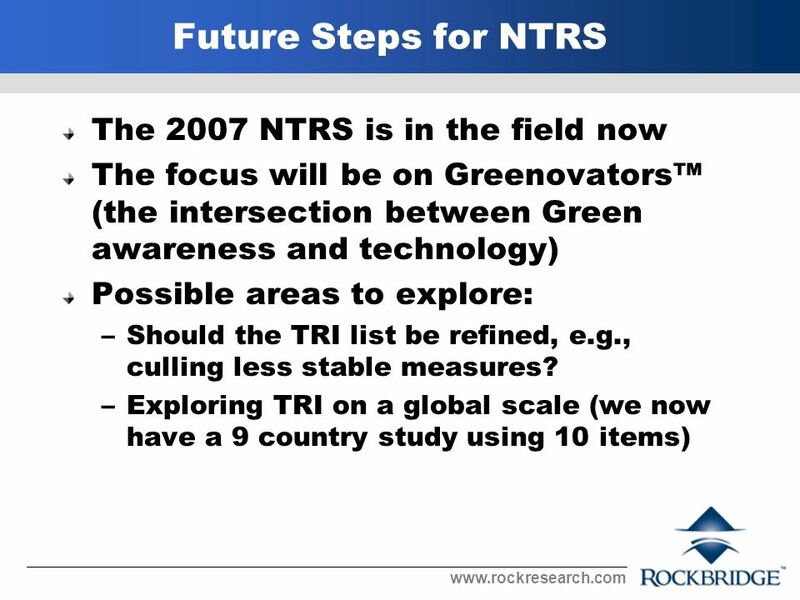 Introduction Export and import price indices are useful for the analysis of foreign trade statistics. 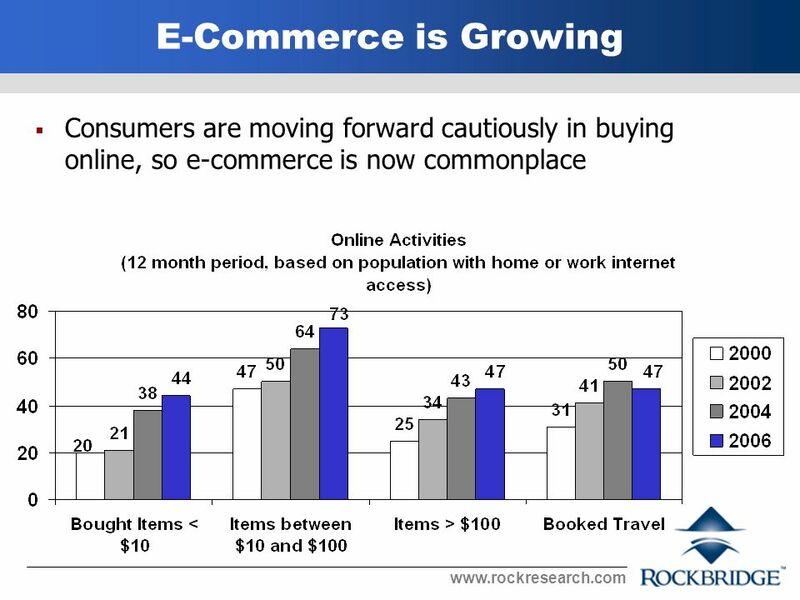 Besides. 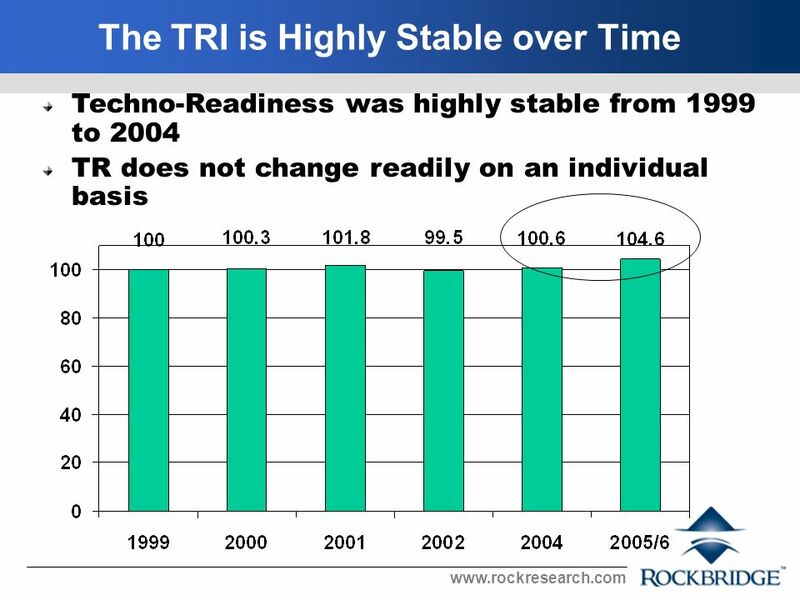 Jörg Drechsler (Institute for Employment Research, Germany) NTTS 2009 Brussels, 20. 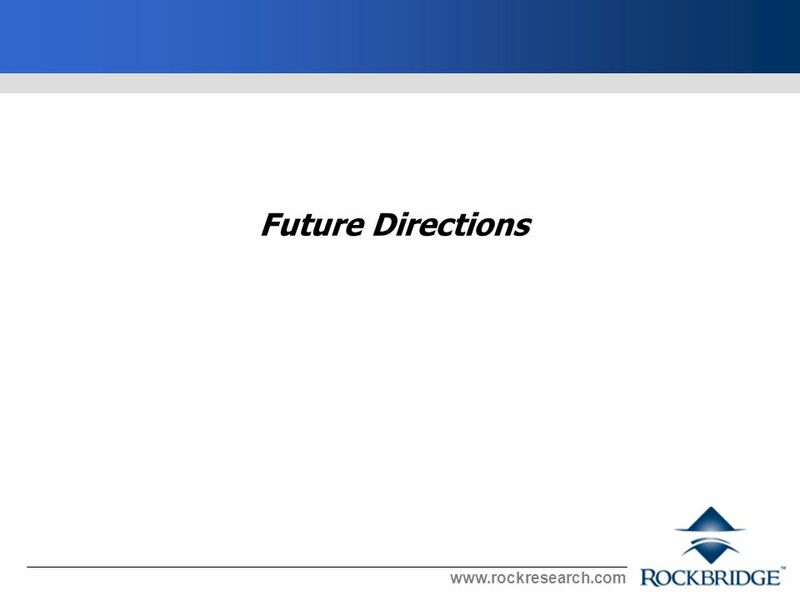 February 2009 Disclosure Control in Business Data Experiences with. 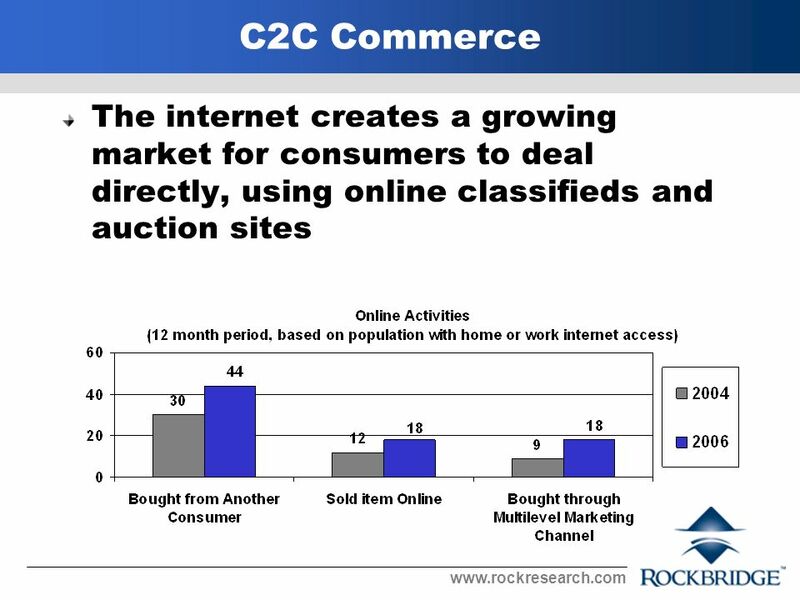 3.02 Position products/services to acquire desired business image. 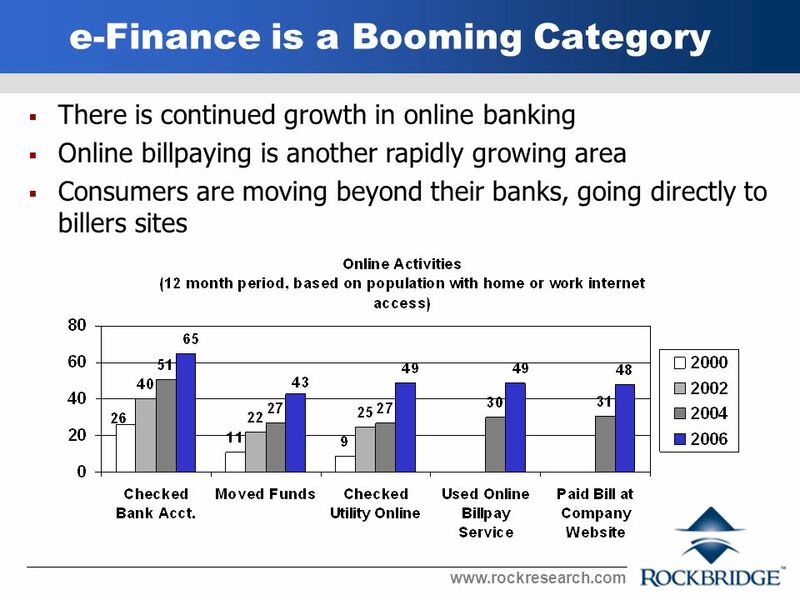 Unlock Customer Growth and Loyalty in Today's Economy Data Solutions for Finance and Banking 1/19. 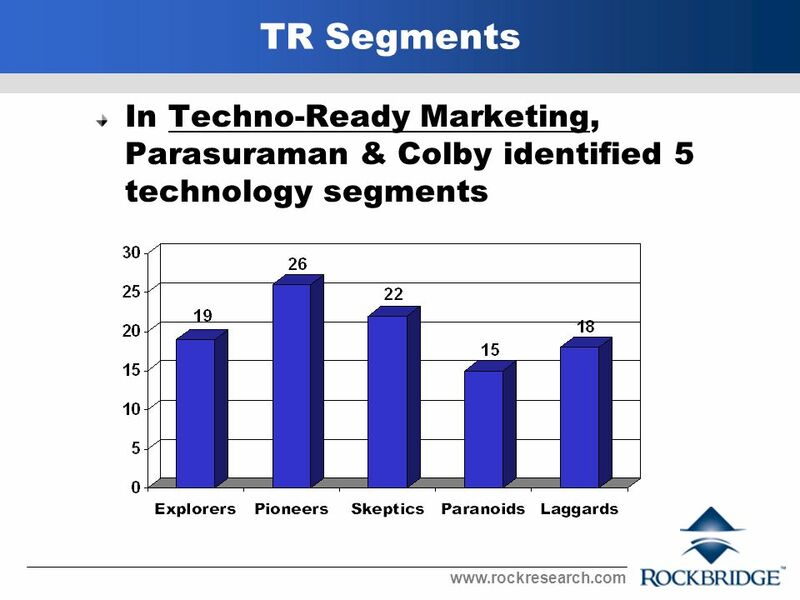 The Internet and Interactive Media Utterz, MocoSpace, Twango, Moshand Interactive The Internet and Interactive Media Utterz, MocoSpace, Twango, Moshand. 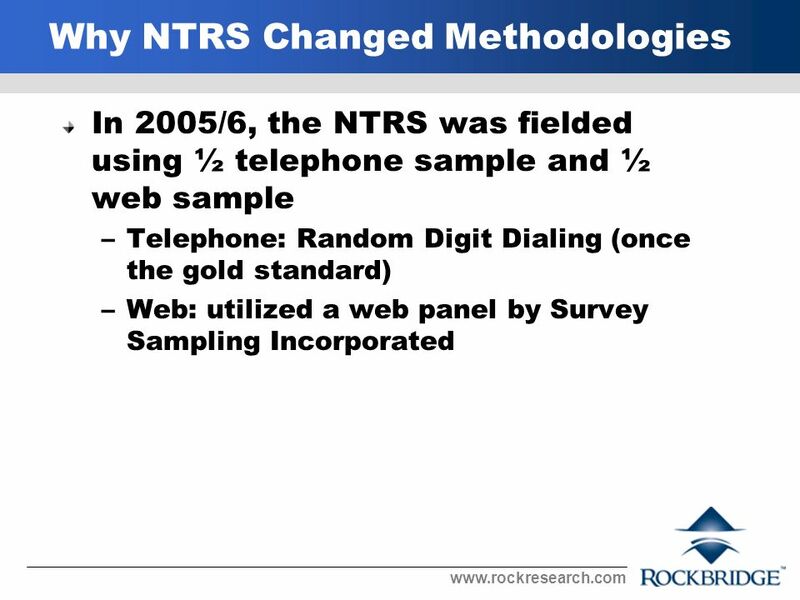 Internet Survey Methods. 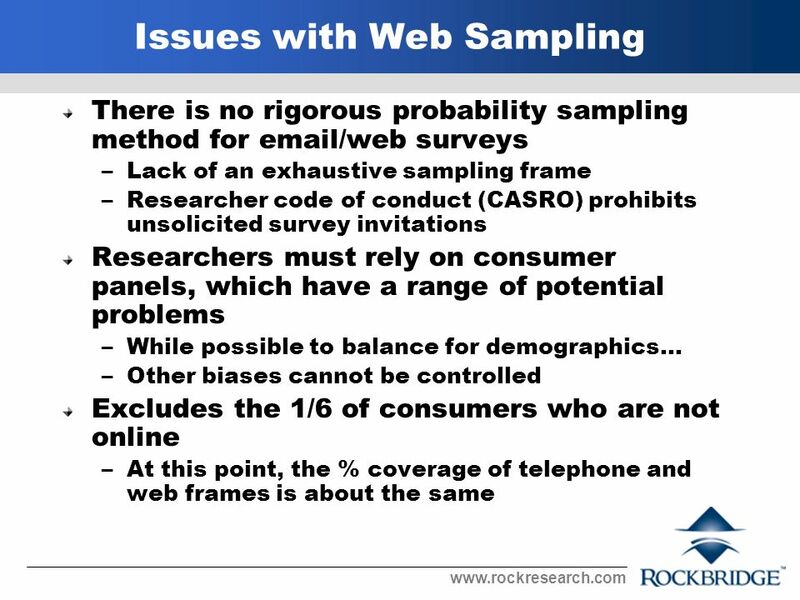 Sources of Error in Internet Surveys Coverage Error Mismatch between frame and target populations Web users not representative. 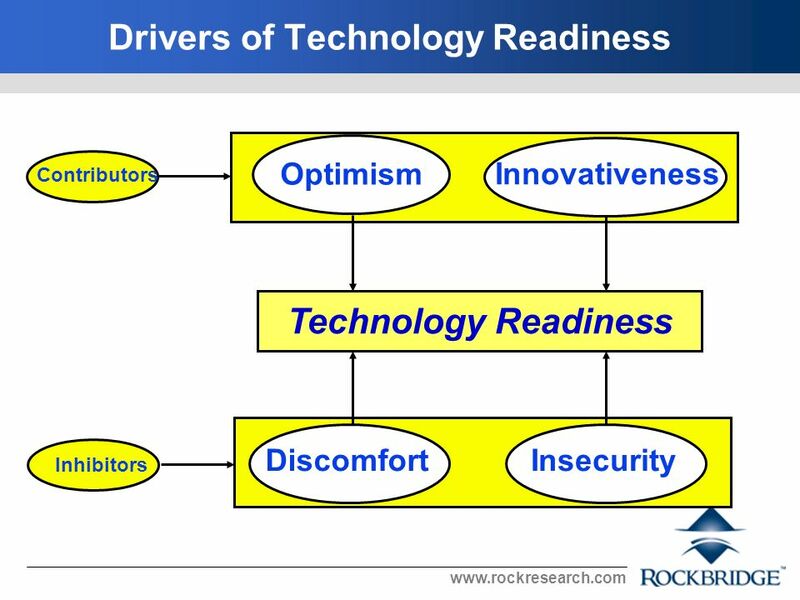 Powered by:. 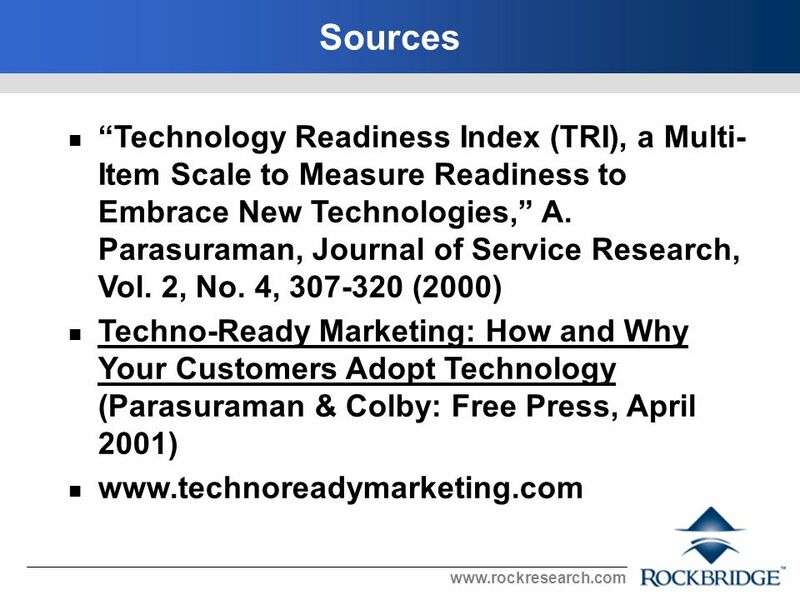 Who We Are 3 Enterprise Technology Services VoiceOne DataOne is the leading independent provider of managed technology services to enterprises. 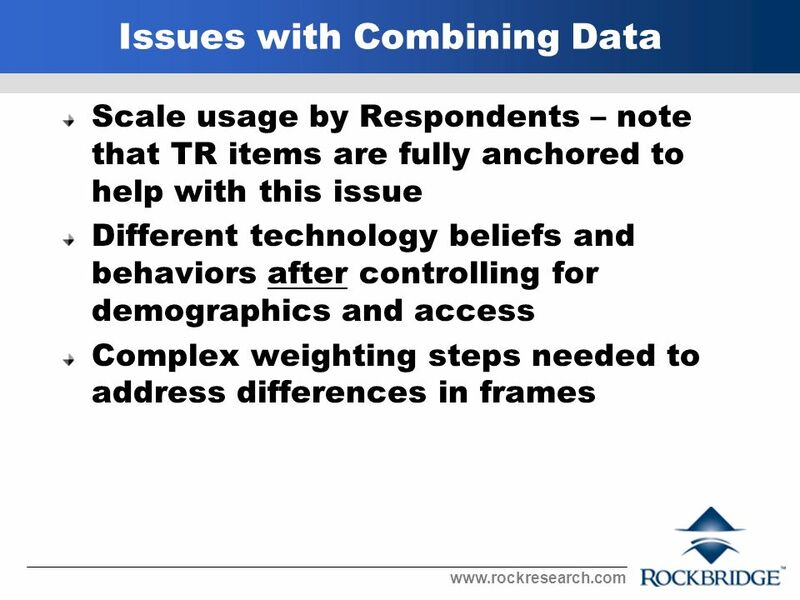 Results from a Mobile Finance Survey. 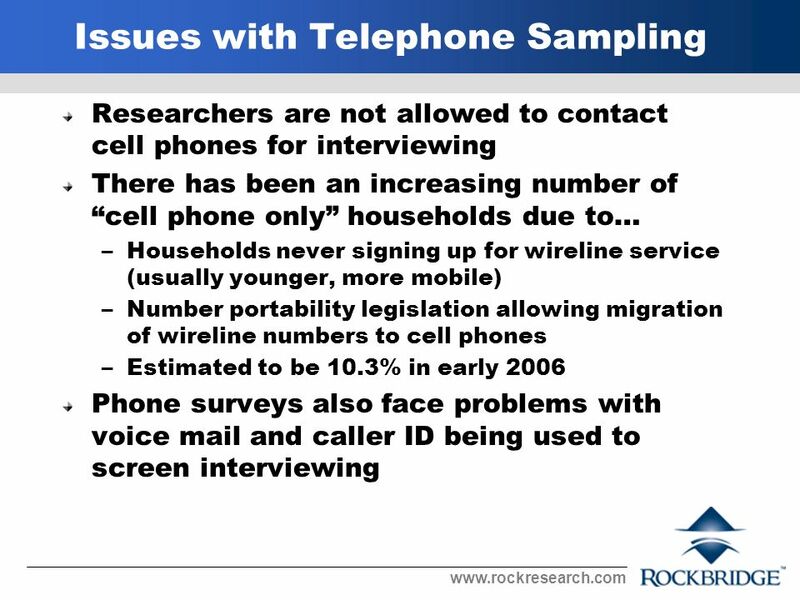 2 2 Second survey sponsored by CheckFree with fieldwork in April 2008; First survey completed in March ,007. 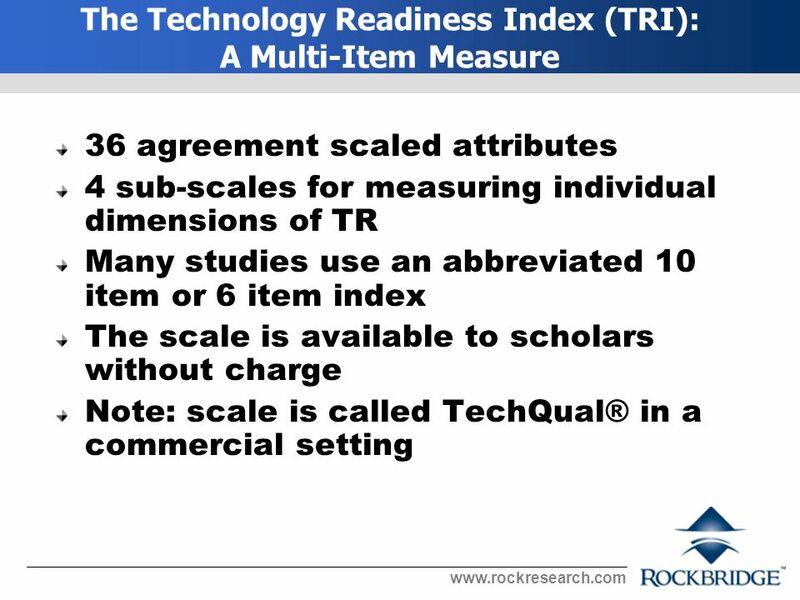 Scaling and Attitude Measurement in Travel and Hospitality Research Research Methodologies CHAPTER 11.